Owners of Jawbone products have been met with a wall of silence from the speaker and activity tracker company's customer support, it was reported on Wednesday. 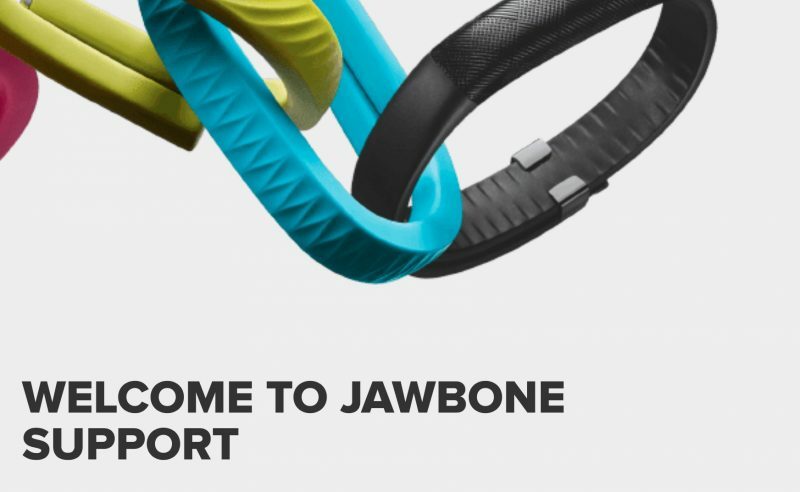 Customers told The Verge they had contacted Jawbone in recent months or weeks about faulty products and had not received any response, while calls to the company's support number are being continually met with automated messages about busy lines. The company's support Twitter account hasn't tweeted since December 21, 2016, and the Jawbone Facebook page does not respond to comments left by frustrated customers, with many of the comments apparently hidden from public view. Meanwhile, review aggregator website Trustpilot.com currently gives Jawbone an average one-star rating. Jawbone did not respond to requests for comment regarding its lack of customer support, despite the fact that the company's products are still available to buy through Amazon, if not Jawbone's own website. Reports that the company has been struggling to stay afloat date back to May of last year, when it ended production of its UP line of fitness trackers and sold its remaining inventory to a third-party reseller at a discounted price. At the time, Jawbone denied claims that it was going out of business and said it was focusing on advanced sensors to sell to other wearable makers, but recently both the head executive of product and the chief financial officer left the company. According to a report in the Financial Times, Fitbit attempted to buy Jawbone last year, but it only offered a fraction of the $1.5 billion valuation the company had at the beginning of 2016. Jawbone and Fitbit have also been involved in a series of lawsuits over patents and trade secrets over the last year. The risk of daring to venture outside the Apple ecosystem, I suppose. Say what you will about the shortcomings of the Apple Watch. At least I know where I stand with regards to customer service and long term support. I've had 7 replacement units of my UP3 over a period of a year. And over time, I could clearly realise customer service was more and more ******. The iPhone does not track anything passively unless you carry it in your pocket. My gf got a Fitbit flex 2. Counting steps, tracking sleep and especially the silent alarm are enough reasons for a $100 device. I have a MS Band 2 which is the is the best style alarm clock for me. It wakes me by vibration and as a result not my wife who doesn't have to get up as early. I have an Apple Watch, but that sits on the charger overnight. I've said it before and I'll say it again, I'm not convinced that wearable computing is a thing. When the novelty is gone a gadget has to prove its value in utility and I don't think it's there. Most people don't carry an extra camera additional to their smartphone camera or an extra gps tracker, why would they want a smartwatch or a fitness tracker? The iPhone already tells the time and measures your activity good enough or even superior given the choice of apps in the AppStore. I'd pay zero dollar for a wearable device and put it in a dusty drawer for eternal storage. Jawbone had some of the best sleep tracking (Fitbit's sleep tracking is a joke in comparison). Sad to see its demise. Was kind of hoping Fitbit would buy them, that way they could stop bickering about patents. I still wear my Jawbone UP to sleep every night when I set my Apple Watch Series 0 on its charger. Their sleep tracking really is great, I've loved the app's interface since I first used it in March of 2014, and the integration with the Health app and even the Apple Watches activity tracking is very well designed. Until Apple brings sleep tracking to the Apple Watch, I will continue to wear my Jawbone to sleep at night. I even like how the app guesses my sleep duration when I forget to set it to sleep mode or even when I forget to wear it at all (how they figure it out accurately I don't really know, but I assume it's accelerometer data). I fondly remember the days of wearing both a Pebble and a Jawbone UP24. Both were so perfectly suited to what they were designed to do. All eaten away by the massive weight of the Apple Watch, which arguably has been much harder to use. My guess is they were unable to pay invoices to their outsourced customer service vendor and were cut off.